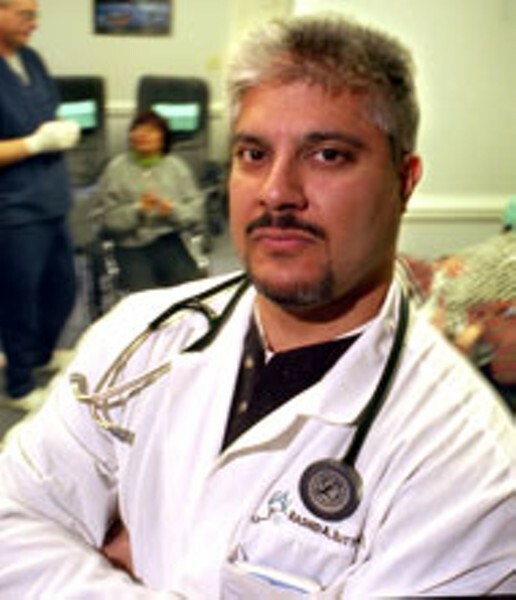 Radok Dr. Rashid Buttar of Cornelius and eight other integrative doctors formed the NC Integrative Medical Society and hired a lobbyist to work on reining in what they see as a state Medical Board that harasses its financial competitors. Sometimes, it's like living in a police state. They've had their offices searched and their financial records subpoenaed. Investigators regularly show up at their offices and walk off with random stacks of patient files. They've been charged with nothing, but they're all guilty of the same thing -- practicing what has come to be called integrative or alternative medicine. When conventional medicine doesn't work, these doctors are the ones more likely to use everything from vitamins to acupuncture to cure common maladies. 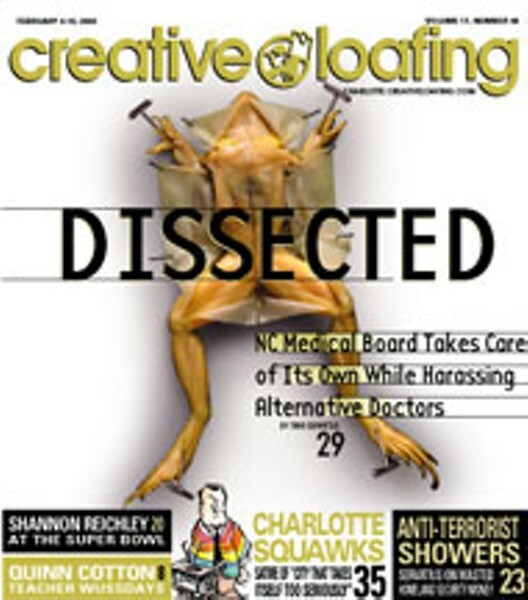 But as their craft has become more popular with the public in recent years, they say they've increasingly become a target of the North Carolina Medical Board, the independent body charged with policing the state's doctors. No matter how common their practices may be in other states, those who stray the furthest from what's considered to be mainstream medicine here have felt the worst of the NC Medical Board's wrath. In a state that has gained a national reputation for its lax discipline of doctors who endanger the public, it is no exaggeration to say that in some cases, the medical board has expended more energy on doctors who give vitamin B-12 shots in their offices than those whose negligence put an otherwise healthy patient six feet under. Now some of the same integrative doctors are fighting back against a board that they say is controlled by special interests and routinely allows doctors who've had multiple malpractice judgments against them, and who've harmed their patients, to continue practicing medicine. The battle is one that threatens to widen the schism in the medical community over the way doctors are regulated in the state. Much is at stake. If the integrative doctors get their way, patients will have access for the first time to information about doctors who have repeatedly caused harm to patients. And medical special interests that have controlled the medical board for over 100 years will no longer hold sway over the board's decisions, forcing it to put regulation and discipline before politics. For Dr. Rashid Buttar of Cornelius, the battle started over two years ago. At the time, things were looking up for him. For years he'd been trying to convince his fellow doctors that his research had found a link between cancer and the presence of Insulin-Like Growth Factor (IGF-1) in the body, but no one took him seriously. When Buttar spoke at conventions here and across the nation, he drew little interest from his colleagues, some of whom even told him they thought his theory was nutty. By the time a 2000 article in the Journal of the National Cancer Institute proved him right, he'd already invented a transdermal prescription-only product called Trans-D-Tropin, which decreased IGF levels and stimulated the body's production of human growth hormone. Its effects on athletes were so marked that players from nine NFL teams are currently using it. Within six months of the publication of the groundbreaking Cancer Institute article, Buttar -- now a recognized world authority on IGF-1 and its correlation to cancer, metal toxicity and autism -- was lecturing before audiences packed with some of the same sorts of doctors who had once shunned his ideas. It wasn't long after that someone found a brochure for Trans-D-Tropin with Buttar's name stamped on the back at a gym and passed it on to the NC Medical Board. Suddenly, a medical board investigator began turning up at his office unannounced. Although no complaints had been filed against him, she made copies of stacks of patient files and hauled them off. Board attorneys and investigators wanted to know every detail about his research and his business interests, particularly those related to Trans-D, but no one would tell him what he wanted to know -- why he was being investigated. Meanwhile, the board was running Asheville doctor James Biddle through a similar wringer. Biddle's problems started when a patient filed a complaint with the board that he had over-billed her. The complaint was quickly dismissed when Biddle produced documents she had signed stating that she understood his billing procedures. As it turned out, the board was more interested in what the bill was for, namely a hair analysis, zinc taste test, and vitamin shot for a patient complaining of fatigue. After an endless litany of questions and a visit from an investigator, Biddle received a letter inviting him to what was described as a formal inquiry at which he would be read his rights. He was advised to bring an attorney. Before it was all over, they'd subpoenaed his financial records and grilled him on his involvement with Great Smokies Diagnostic Laboratory, which does medical test processing for alternative doctors. "They just keep digging until they find something to get you or they break you," said Biddle. "I spent $10,000 in legal fees to give someone a trial of B-12 shots to see if it helps them. It's vitamin B-12. It's a harmless, simple thing that old country docs used to do for people with fatigue all the time. It works often."